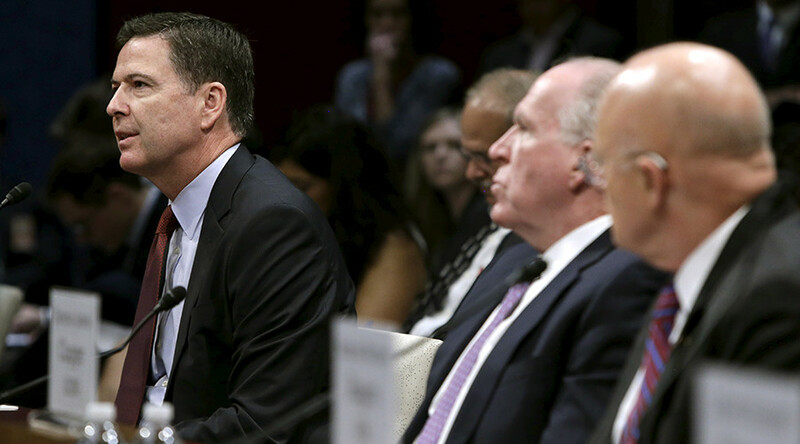 FBI Director James Comey continued his push for Silicon Valley to give the federal government backdoor access to encrypted data at a congressional hearing. However, the tech industry has told committee members that it’s not in their interest to help. At a House Intelligence Committee hearing on Thursday, Comey said that he wants Silicon Valley to create a workaround that would give the federal government access to encrypted data in their programs and hardware, even though more than 140 tech firms have come out against the idea. The FBI director also spoke on Capitol Hill about creating a backdoor in encryption in July, when he testified before the Senate Intelligence and Judiciary Committees, arguing that commercial encryption is interfering with the bureau’s investigations of criminals and terrorists. The day after Comey testified, an MIT report warned that the government’s plans to weaken online encryption “would undo progress on security” in a post-Snowden world, making it easier for hackers to access sensitive material. Apple, Google and other Silicon Valley companies joined by cryptology experts sent a letter to President Barack Obama in May condemning any proposal that seeks to weaken encryption security to benefit policing agencies. In June, two of the top trade associations for major technologies also voiced their strident opposition to Comey’s plan, writing Obama a letter of their own. On Thursday, however, Comey implied that Silicon Valley was just being stubborn. “I really believe we have not given this the shot it deserves,” he said, adding that it wasn’t the government’s place to present the best proposal. It may not be Silicon Valley’s thing in this case, either, at least not according to California Representative Adam Schiff, the committee’s ranking member. During the hearing, he said that he met with top officials from Facebook, Google and Twitter last week. The proposal that the tech industry create the back door didn’t go over well with the heavy hitters, Schiff said. “They framed it, and with some discomfort, as the intelligence community is coming to us and saying, ‘You’re brilliant, figure it out’,” he said. He pointed out that Comey’s suggestion goes against their current business models. “It’s not in their economic interest," he added. Representative Eric Swalwell, a fellow California Democrat, called on Silicon Valley to be patriotic in assisting with national security, suggesting that the tech industry has come down too far on the side of privacy. “Back at home in the Bay Area, sometimes it seems like we’ve forgotten about 9/11,” he said.